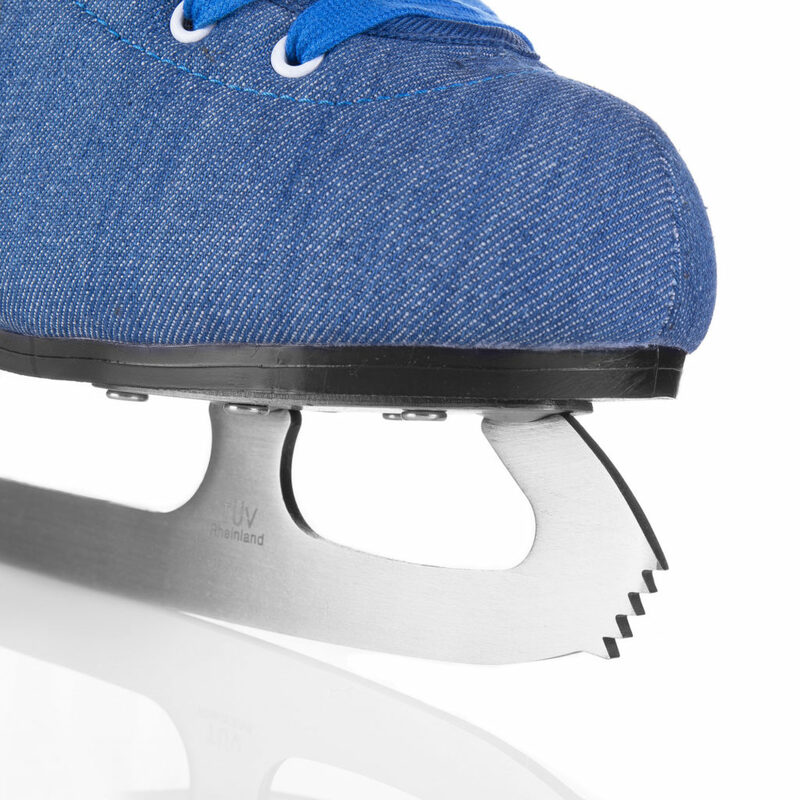 Typical for ice figure skating, reaching far over the ankle stiffens the ankle. 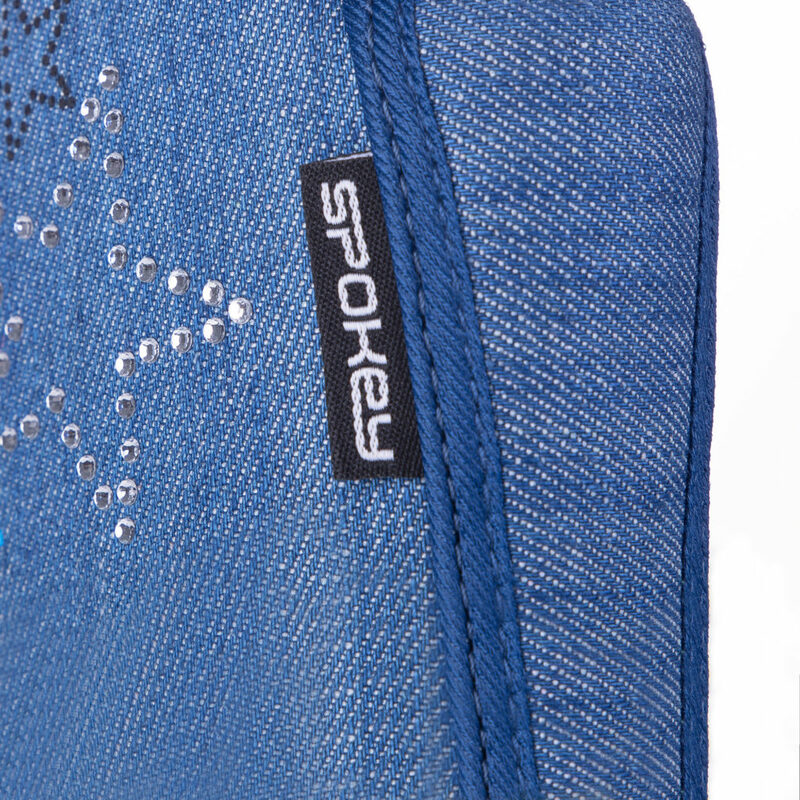 Equipped with hooks for laces, it is easy to put on and provides better stability. 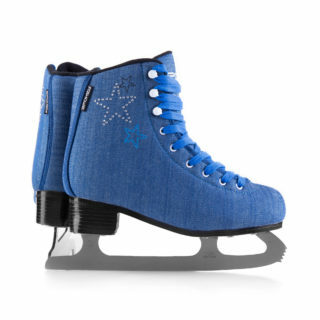 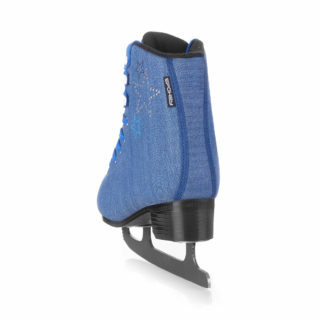 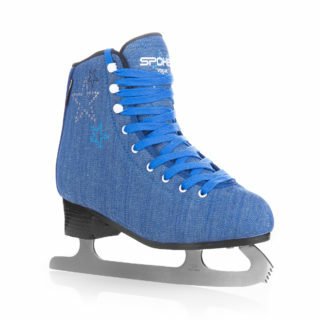 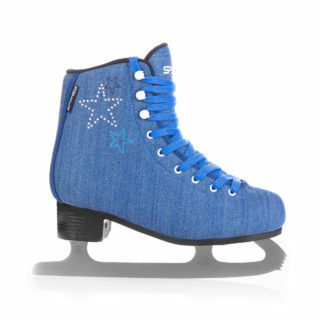 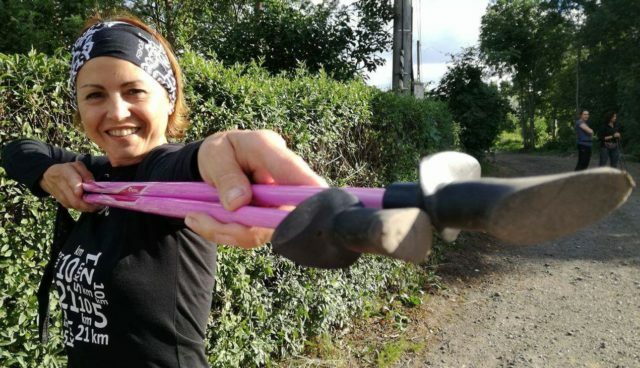 Reinforced front ensures comfort and safety while skating. An additional advantage of the shoe is its stylish graphics enriched with golden elements that add elegance.